Preview all 24 gorgeous scarves in our exclusive Look Book! Knitwear designer Pam Powers sells her innovative designs as downloads through her website pampowersknits.com, Ravelry, and Craftsy, as well as printed patterns to yarn stores throughout the U.S. 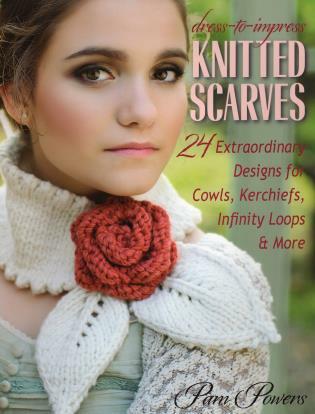 Her work has been featured in national magazines like Interweave Knits and Bel Armoire, as well as online in blogs and newsletters like Knitting Daily and Noble Knits. She lives in Orange County, California.